Warning! This is a controversial episode that will make you really think. But that’s a good thing, right? In this episode I interview Janet Parks, a Stay or Go Relationship Coach. I don’t want to spoil it for you because you really do have to listen for yourself but suffice it to say that Janet and I agree on a lot but also disagree on a lot. One thing that is absolutely certain is that we have to pay daily attention and care to our relationships or they’ll end. In this interview Janet goes through her 5 steps for getting out of relationship limbo. It’s a must listen! Listen and let me know what you think in the comment section below. Janet has also offered us a FREE “Stay or Go Aha! Consultation.” Just contact her through her website to set up an appointment. If you want to call Janet her number is 510.558.0405 or you can email her by clicking here. 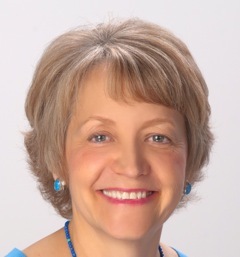 This Episode’s Paid Sponsor is Susan Somerset Webb, Owner and Founder of Tap Into Your Life. Susan is an EFT and PsychK Practitioner and she is holding her next “Get Out of Your Head and Into Your Life for Entrepreneurial Women 8 Week Intensive Course” starting May 16, 2013 I talk about how I enjoyed her course and what I got out of it. Susan is offering a special discount for this community! Thank you, Susan! Susan is offering us a Special Promotion Code for $200 off of her course. That code is GOOYH004 You must use that code to get your Networker for Business Women discount. Are you interested in sponsoring an episode? Just contact me and we’ll discuss the particulars. If you’re like me you are always looking for tools, tips and resources to make your business and personal life more fulfilling and effective. I’m constantly listening, learning and trying new things. In order to get more of “the right things” done, try this: Chunk the project down into 1/2 hours segments of concentrated production time. Wondering what I mean by “the right things?” The right activities are those that will make you money and that you’ve been putting off. Likely you are overwhelmed at the size of the project or fearful of the outcome. But I have found that those 1/2 concentrated time periods really help to get things done and fast because you know you only have to concentrate for 1/2 hour. 2. Eliminate all distractions for that 1/2 hour. That means, no email, no social media, no phone calls, etc… Just concentrate all of your attention and intention on the project at hand. You’ll be amazed at how much you can get done when you do that. Plus, it is so much less stressful to know that you’ll be able to check email or whatever after the 1/2 hour up. 3. Try this for a week. This work method takes getting used to but if you try this I think you’ll find it very useful and your productivity will soar. I use a simple online timer. Just click here to see the one that I use. But you can use any old timer you want. Go ahead and google online timer, there are thousands. An egg timer works well too. Your phone might even have an app. Anyhow, just use whatever timer you like best. Let me know if you try this and if it has worked for you. Great episode, Lourdes. Thank you so much. Janet is clearly a very well trained coach and knows her subject. I enjoyed this immensely. Jayne, I agree Janet is quite obviously extremely well trained. She is very professional, very likeable and well intentioned! I do not agree with her view on marriage, however. Hi Lourdes, I don’t really think we disagree about marriage. My thoughts about what we can and can’t realistically commit to got us going. The importance of devoted tending of marriage..that we both support completely. I don’t mind a little controversy! Thanks so much for having me as your guest. I don’t mind a little controversy either, Janet. In fact, I think this is a better episode because of the controversy. I appreciate you speaking your truth. I had to speak mine. You and I will never agree as to what the marriage commitment means….and that’s perfectly fine with me. I’m sure the listeners all have their own opinions too and they are very likely different from either of ours. If this episode gets people talking, thinking and communicating, with their significant others and children, then it has been very successful. I completely agree with you that we have to bring our true selves to a relationship, that we must not mold ourselves to another, and that a relationship is stronger when individuals are secure in themselves. I also agree with putting the marriage relationship first, the fact that the commitment is not easy, and the relationship needs daily tending. It is clear to me that you can bring a lot of value to someone who finds themselves in an unfortunate situation. But our underlying definition of the marriage commitment will forever be different and so it is. It’s a testament to your professionalism as a coach that you and I can disagree and yet remain friends and business allies. Lourdes, this was a wonderful podcast and I enjoyed listening to both points of view and totally understand both sides. I have been married 23 years and it is definitely not always easy. But I strongly feel you need your independence and can still support your husband. The most important thing is to be friends so that you truly enjoy each others company. And communicate, communicate, communicate with each other. But I also feel the saying “Happy wife, Happy life” so that makes us all better business women. Hey, my sister-in-law is listening to my podcast. How fun is that! Cool! Welcome Susie. So glad you are here and welcome to this community! Yes, ma’am…one thing we can all agree on is “Happy Wife, Happy Life.” LOL! Your advice on being friends, communicating, and being strong in yourself is also something we can all learn from and agree on! Thank you Janet and Lourdes for this great interview. Even though I love a little controversy, it didn’t feel the slightest bit controversial to me. I love that we can have differing opinions and feel safe enough to disagree in a way that doesn’t make anyone bad or wrong. Susan I am so glad that you enjoyed the episode. My goal is, in fact, that this community be a safe place for all of us to speak our truth. I am so thankful that this episode came across that way. I am also glad that you liked it since you are the Episode Sponsor, afterall! Thank you Susan for making such a generous offer for your very valuable course. I’ll be taking your course starting May 16th so I look forward to seeing other members of this community there (online) also.